Here are 10 easy ways to protect and prevent your pets from getting fleas. The more of these methods you do, the better the chance your cat and dog will stay flea free all year round. Some of these methods will be more effective then others, but these are the main ways to stop and prevent your pet from getting fleas. 1. Use a flea control like Comfortis, Revolution, Advantage, Advantix, Frontline Plus etc. This is the best way to kill and prevent fleas, but it has been talked about in detail in this article Best Way To Kill Fleas Off My Dog?. 2. Flea bomb your house. Using a flea bomb in your house can really reduce the amount of fleas heavily. It will kill most of the fleas in your house and control them coming in for some time. But it wont stop the fleas getting on your dog outside. If you may have to use more than 1 flea bomb to completely cover your house, but the correct amount to use should be labeled on the flea bomb you buy. 3. Spray your backyard. 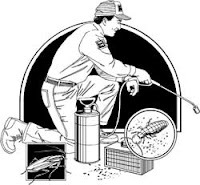 Having a pest control specialist come in and spay your house will be the most effective way of doing this as they are the experts. But you can also do this yourself with the right product and equipment. You should be able to get the product the will be diluted down from your local hardware store and some pet stores. After having your yard sprayed it is a good idea to create a lot of movement around your yard, as this helps to bring the fleas up and in contact with the poison. 4. Vacuum. Vacuuming carpet, floor boards or anywhere there are any cracks or cravats fleas and flea eggs can hide. 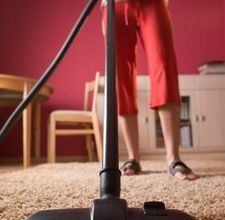 Vacuuming will never get all the fleas around your house, but it will help. Vacuuming at least once to a couple of times a week will help to reduce the amount of fleas around your home. 5. Treat pets over winter. Once winter rolls around the fleas start to die off and you don't notice them as much. So a lot of people just stop treating there animals for fleas. But when summer comes around again you find the people who have been treating there pets all threw winter are not having the same flea problems as the people who stop the treatment. Although fleas are not as rampant in winter, they are still around and breeding and the flea eggs are waiting to hatch. If you are treating over winter most of the fleas in the eggs will never get the chance to see the light of day. For an article on this go to Treating Your Pet For Fleas Over Winter. 6. Be careful what other pets yours come in contact with yours. 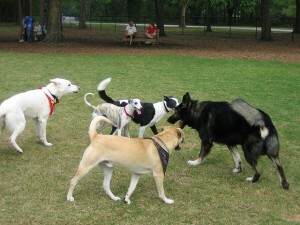 When taking your dog for walks, to the dog park, dog training or to a friends place there is a good chance your pet will come in contact with other animals. So even if you don't have fleas at your place, they can pick them up and bring them home. So making sure your dog is treated for fleas before going out is the best way to prevent this. Some people just give there dog a Capstar tablet after coming in contact with pets that may have fleas before they get home and this makes sure any fleas on them will die and wont get into your house. 7. 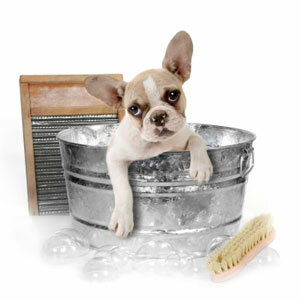 Brush your dog or cat regularly. This will give you a better idea weather they have fleas and how bad the problem is. 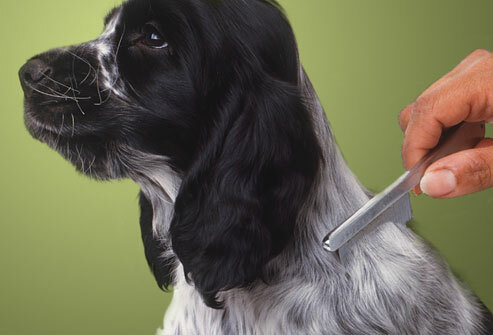 If you are using a flea comb, it will also help get rid of those fleas. 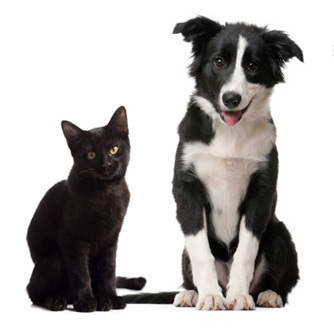 Keep a close eye on your pet to see if they are scratching or could have fleas. And remember some animals are more sensitive then others, so just because they are not scratching doesn't mean they don't have fleas on them. 8. 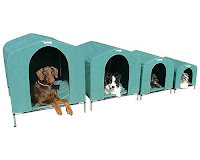 Wash bedding and kennels. Your pet will spend a lot time in its kennel or on its bed, so making sure these are clean and flea free are very important. Just give your kennel a simple rinse with the hose and that should do the trick. If its an outside bed you can usually just wash it down with the hose as well, if it can be washed in the washing machine or hand washed it is best to do that. Bedding gets smelly quickly anyway so you will be killing 2 birds with one stone anyway. 9. Shampoo your dog and/or cat. There a shampoo's specially made to kill fleas and this is what will be best to use. But any shampoo will help with getting fleas off your pet. Also if your pet has fleas or is sore from flea bites using a soothing oatmeal shampoo can be very helpful in reducing the irritation. 10. Treat all the animals in your house. Even if you notice only one of your pets are scratching. If one of them has fleas it is very likely the others do as well. If you have friends who bring pets around to your house to play, it is a good idea to make sure they have been treated for fleas so they are not bringing any into the house. Once again some animals are more sensitive then others. Now you know the of the best ways to protect your animals from getting with fleas you can put them into practice. Your pets will thank you for it.